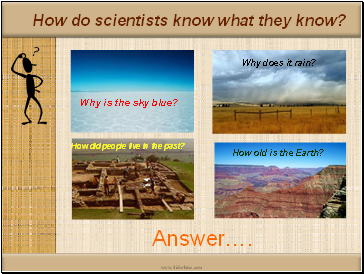 How do scientists know what they know? 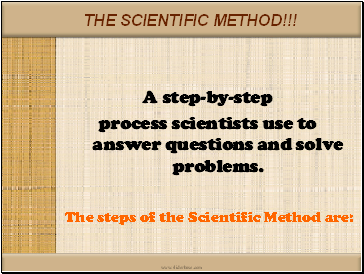 process scientists use to answer questions and solve problems. The problem or issue you want to learn more about. Testable Prediction that follows from your research question that can be tested and evaluated. 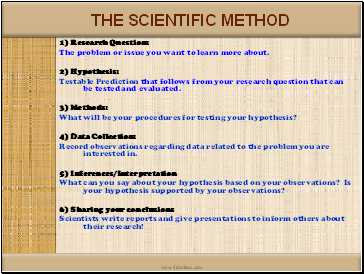 What will be your procedures for testing your hypothesis? Record observations regarding data related to the problem you are interested in. 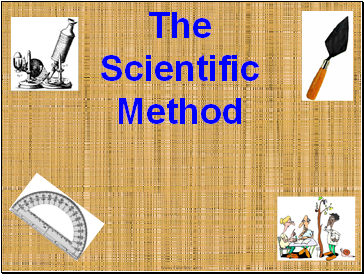 What can you say about your hypothesis based on your observations? Is your hypothesis supported by your observations? 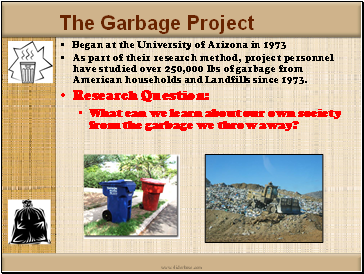 Scientists write reports and give presentations to inform others about their research! 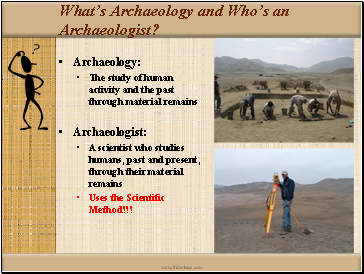 What’s Archaeology and Who’s an Archaeologist? 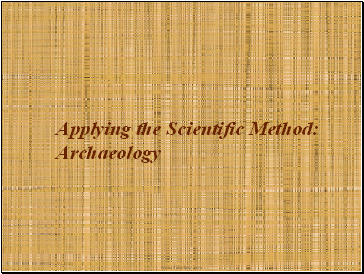 Not all archaeologists study the past! 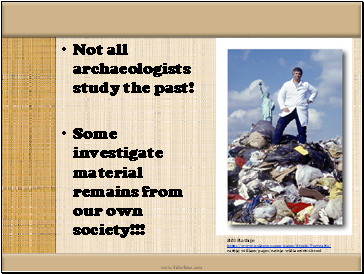 Some investigate material remains from our own society!!! 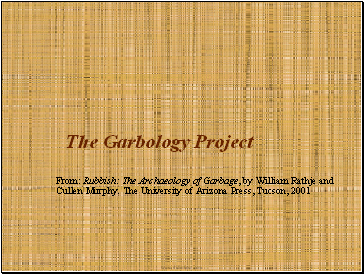 As part of their research method, project personnel have studied over 250,000 lbs of garbage from American households and Landfills since 1973. Inferences - What do the observations mean?